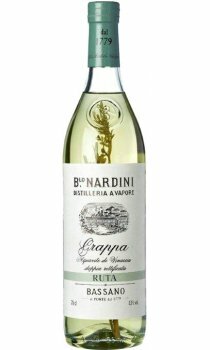 Each bottle of Ruta features a large sprig of rue, a bitter herb that gives this unusual grappa a delightfully astringent flavour. Although the infusion is an acquired taste for some, Ruta has many advocates and was always the personal favourite of Aldo Signetti, the legendary head barman at Dukes Hotel in St James. In homeopathy, rue is sometimes used as a fever suppressant, but according to Italian folk-lore it not only increases male potency but assists women to relax. A fairly useful combination.